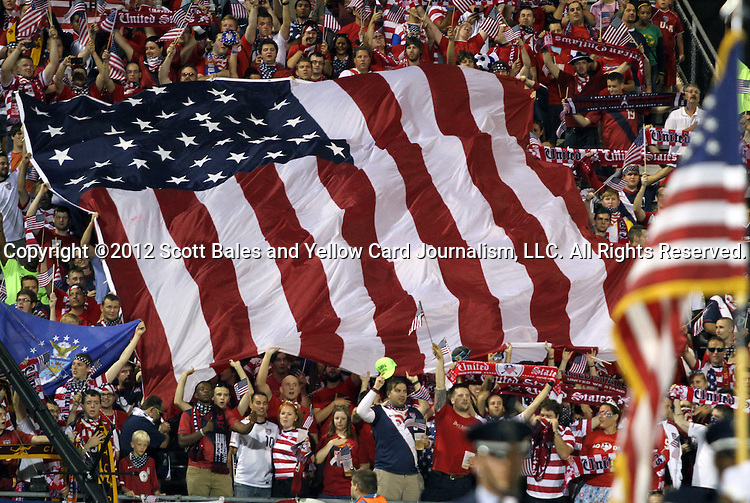 11 September 2012: U.S. fans unfurl a large American flag during the national anthem. The United States Men's National Team played the Jamaica Men's National Team at Columbus Crew Stadium in Columbus, Ohio in a CONCACAF Third Round World Cup Qualifying match for the FIFA 2014 Brazil World Cup. The U.S. won the game 1-0. Copyright: ©2012 Scott Bales and Yellow Card Journalism, LLC. All Rights Reserved.